A lifetime of Amish-Mennonite cooking. Cooking for a crowd? Planning a wedding? Can't decide what to cook for supper? 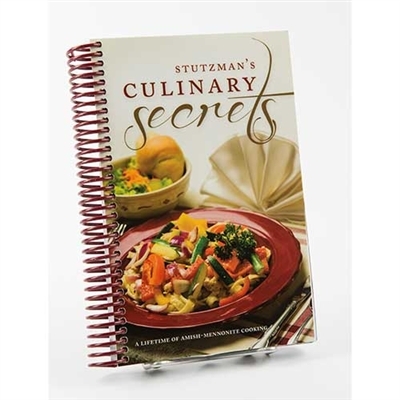 Stutzman's Culinary Secrets offers menu ideas for any event. Easy to follow directions take away the guesswork by providing detailed instructions and amounts. Amateur cooks can now feel confident by using these tried and true recipes. Also included are tips on preparing for weddings, plus there's a large section on cooking for big groups. An Amish-Mennonite cooking manual at your fingertips.